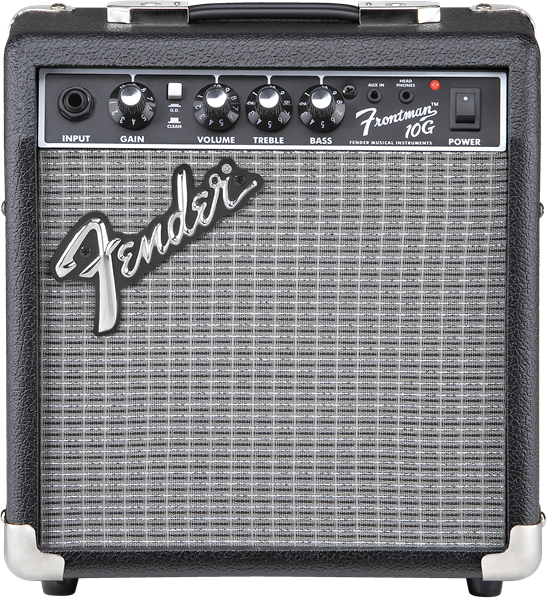 Frontman® amps deliver quality tone at a great price, with custom-voiced built-in overdrive for great tone and the unmistakable Fender® Blackface™ look. 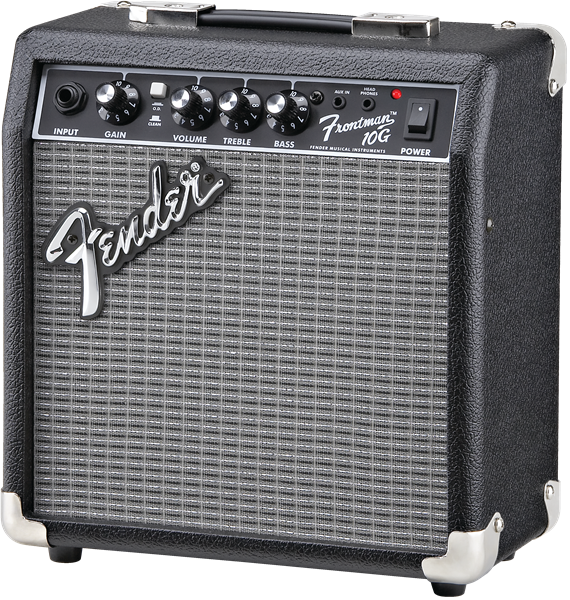 The 10-watt Frontman 10G features a 6” Special Design speaker and a adjustable gain control that rocks guitar tones from tube-emulated overdrive to full-strength ultra-saturated distortion - perfect for blues, metal and the famous Fender clean tone. Closed-back design gives a heavier bass response, 1/8” input lets you play along with media players, and 1/8” headphone output is great for silent practice.